I can't believe it's already time for the next monthly update! Despite the lack of posts on The New Me (or maybe because of it...) freelancing is still going relatively well, though that first flush of good luck I had seems to have waned just slightly. This hasn't affected my optimism, though. Just my wallet. 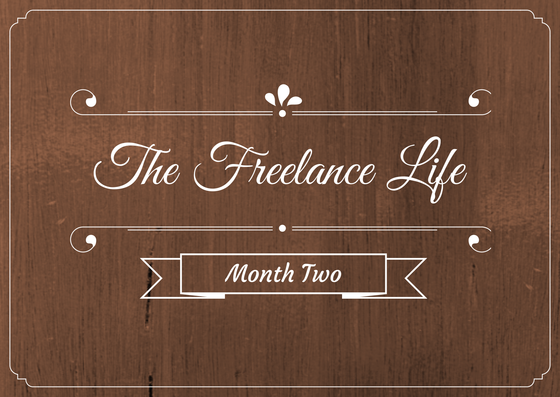 In my first month of freelancing, I was lucky enough to score two regular gigs, which have kept me afloat during my transition from student to (somewhat) functioning member of society. Then my ghost-writing gig went on hiatus for a month. While losing half my income for 30 days wasn't exactly ideal, it did give me time to focus on finding supplemental work. 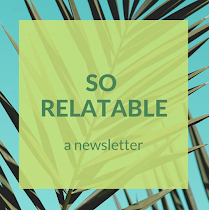 I used the extra hours to read a million articles about how to write a pitch, researched magazines that paid contributors, and started sending out article ideas. The nice thing about a pitch is that, while you have to come up with ideas, you don't have to write them until the pitch is accepted. And, if the magazine or website you pitched to rejects your idea, you can send it somewhere else. Right now, I'm waiting to hear about three pitches. One of my ideas was accepted (huzzah!) and I will be sure to post the link when it's out. My fingers are crossed for the others. My goal was to send out one pitch a week, and I've mostly stuck to that. (I'll get back on schedule once this move is over - it's hard to focus when your life is spread between two houses.) While I don't expect every pitch I submit to get accepted, the more I have out there, the better my odds will be. Another method I just started using to find new work is sending letters of introduction. This is basically the email equivalent of cold calling a business, and it's fairly terrifying. Again, I googled the hell out of what an LOI is and what it should include. (This article and this article were both helpful in learning the ins and outs.) Once I had a decent LOI, I researched local businesses for which I felt I could reasonably write, edited the letter so it specifically addressed that business and what I could offer them, and sent it out. I started with a local winery, a Wilmington-based coffee shop chain, and a new yoga studio (hitting my ares of expertise, obviously). The winery wasn't in the market for writers, but the coffee shop and the yoga studio both wrote back and asked for more information about my services and rates. I sent them info (I'll write more about that process later, because setting rates is really strange and confusing and way harder than hustling. How do you know what you're worth? How can you keep from underselling your services? Why am I suddenly questioning my self-worth as a human being?) Now I'm playing the waiting game, but I'm pretty excited that I've already gotten to second base with two businesses. It seems a bit disingenuous to write a series about how I'm making a living as a freelance writer without being open about my actual income. So, for the sake of transparency, here's a breakdown of what I made in the month of June, with actual numbers. Considering I made $1400 a month as a TA (after taxes) this... could be better. In my defense, this is only my second month trying to make a go of this line of work, and I already feel like I've learned so much in the last few weeks. Also, I've heard that summer is notoriously slow for freelancers (editors and publishers go on vacation, too) so I hope I'll find more work in the fall - especially since that's when my student loan payments kick in. Oy. Keep sending out pitches, keep sending out LOIs, and break the $2000 mark. Wish me luck!